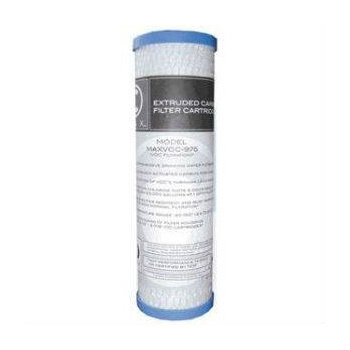 The Watts MAXVOC-975 C-MAX 10" VOC Water Filter is a 0.5 micron VOC carbon block replacement filter designed to remove water-bourne volatile organic compounds (VOC) and contaminants like cysts, bacteria, chlorine and unpleasant tastes and odours. This coconut shell carbon block cartridge is an industry standard size and will fit all standard 2.5 x 10 Inch housings. It is ideal for several applications including under sink systems, motor homes, coaches and ideal for residential, food service, industrial and commercial applications. 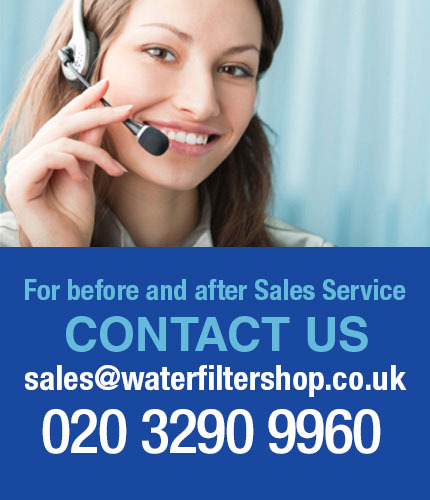 Also known as part number MAXVOC-975, this Watts VOC carbon block water filter is tested and certified by NSF International under NSF/ANSI Standard 42 for materials only. The Watts MAXVOX-975 VOC Filter can be used as a stand-alone filter or in combination with a pre-filter to increase it's life cycle. Carbon block cartridges are great for replacing traditional Granular Activated Carbon (GAC) and Powdered Activated Carbon (PAC) filters where high chlorine reduction is needed.